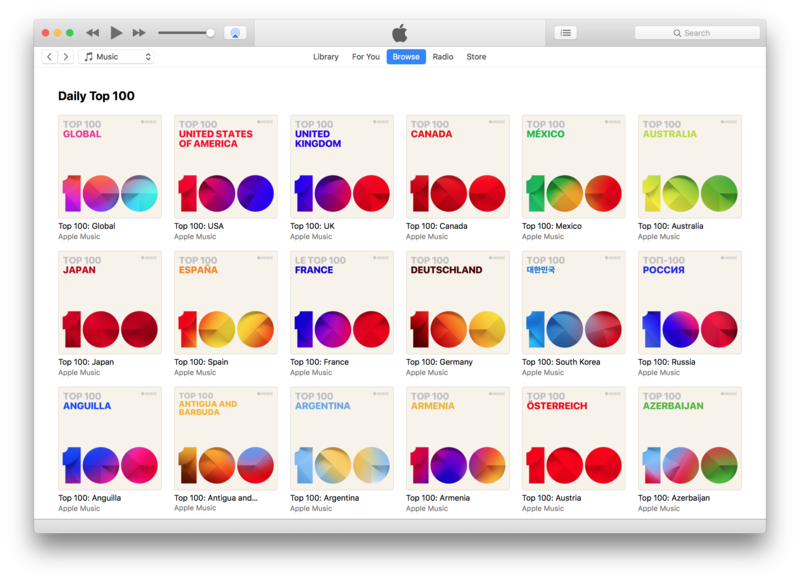 Today, Apple Music added 116 Top 100 charts to its iOS Music app and iTunes on the Mac. The charts, consisting of a global Top 100 chart and a Top 100 chart for each country where Apple Music is offered, are part of a new Top Charts section of Apple Music’s Browse tab. Despite some reports that the charts are limited to the iOS 12 and macOS Mojave betas, I have been able to access them in iTunes on macOS High Sierra and iOS 11 too. According to Rolling Stone, which was given a demonstration by Apple Music executives, the charts are based on Apple Music streams only and are updated every day at Midnight Pacific time.